Europe has been talking up its European Geostationary Navigation Overlay Service (EGNOS, for short) — and why shouldn’t it? Talking about Galileo doesn’t get satellites off the ground. EGNOS, on the other hand, is up and running, and has been since 2009. If the object is to build confidence in European savoir faire, why not talk about a real success like EGNOS? As most Inside GNSS readers well know, EGNOS is Europe’s satellite-based augmentation system (SBAS), the equivalent of the U.S. GPS Wide Area Augmentation System (WAAS). EGNOS is fully operational, but still has some ground to cover in terms of its full exploitation, for example in the aviation sector. While aviation may never be a big-time user of GNSS, at least measured in terms of absolute numbers of users or equipment sold, the impact of GNSS on commercial aviation (and thus the wider transport system and economy) is now seen as crucial. And the emerging worldwide SBAS network, including EGNOS, WAAS, India’s GPS and GEO-augmented Navigation (GAGAN) system, and others, is central to making that GNSS impact real. In a recent article co-written with Manfred Wittig, Norbert Frischauf of SpaceTec Capital Partners observes, “When it comes to approach and landing, the room for navigational errors becomes very small. At that point, airplane movements need to be controlled and coordinated tightly to ensure safety. Thus, one of the key elements of the WAAS and EGNOS services is their integrity function, a sort of constant feedback loop to the user confirming that the navigation signal is reliable and can be trusted for safety-critical applications such as flight navigation and landings. The value of SBAS is established, and there’s been a lot to say about EGNOS in particular in recent months. Last March, for example, the European Commission (EC) announced it had successfully launched two new-generation geostationary transponders – GEO-2 – on board the SES ASTRA 5B satellite from the European Space Port in Kourou, French Guiana, as part of its campaign to maintain and upgrade the EGNOS system. The European GNSS Agency (GSA) says the new transponders will provide higher accuracy positioning signals to EGNOS-enabled receivers and ensure the continuity and quality of the EGNOS open service (OS) and safety-of-life (SoL) services for a long time. Together with the previous transponder replenishment on the SES-5 satellite launched in July 2012, GEO-2 will soon be introduced in current EGNOS operations and will support the new EGNOS generation (EGNOS V3), which will provide dual-frequency signals on L1 and L5 bands and augment both GPS and Galileo. About the new transponder launched last March, he says, “This transponder, which is of a new generation, will ensure the continuity of EGNOS open service and safety-of-life service for the next 15 years. Today Europe has almost 100 procedures using localizer precision with vertical guidance, Petschke points out and predicts that by the end of 2014, there will be at least 250 of them. The European Union has allocated a budget of €1.58 billion (US$2.17 billion) to the EGNOS program for this period. In September, he says, the GSA will present an EGNOS coverage extension plan for the EU member states territories geographically located in Europe, including Azores, the Canary Islands and Madeira. To increase the number of EGNOS approach procedures in airports the European GNSS Agency is working with the civil aviation industry, navigation services providers, airports, civil aviation authorities and co-funding research and development projects,” Petschke adds. Speaking to Inside GNSS at the recent Munich Satellite Navigation Summit (MSNS 2014), Ignacio Alcantarilla Medina, the EC’s deputy project manager for EGNOS, talked about the problem of ionospheric disturbances. Joining Petschke in the “new faces” list is Thierry Racaud, the new chief executive of the European Satellite Services Provider (ESSP), who took up his post in early 2014. ESSP is a private French company founded in 2009 by the air navigation service providers of France, Germany, Italy, Portugal, Spain, Switzerland, and the UK, which acts as EGNOS service provider. About the specific challenges for EGNOS in 2014, Racaud cited boosting the adoption of the EGNOS SoL service in aviation and investigating the use of SoL in other domains. From a technical viewpoint, ESSP is preparing the deployment of a new EGNOS system release, which will improve the robustness towards ionosphere activity, of major importance for the northern countries, he added. The system release will also provide the LPV-200 service for aviation, introduce a new generation of geostationary satellite – ASTRA, and increase EGNOS coverage. Racaud noted that new service definition documents for the EGNOS SoL and OS will also be published, to reflect the service improvements included in the recently deployed new EGNOS system release 2.3.2. ESSP won the new, eight-year EGNOS service provision contract together with key partner Telespazio. Racaud says his agency is in regular contact with many European institutions, GNSS associations as well as industry partners: EUROCONTROL, EASA, Thales Alenia Space, GMV, and others. Who Is Europe Competing with? Americans (and others) are sometimes taken aback by the “competitive talk” that comes out of Europe in the context of GNSS. “Excuse me?” she reports having said to herself. But that doesn’t mean committed cooperators like Lawrence are taking the bait. We remind readers that the Directorate-General for Industry and Entrepreneurship is the EC unit in charge of Galileo and EGNOS; so, the apparent competitiveness may simply be the only way some European leaders know of to argue in defense of billions of euros invested in European GNSS. 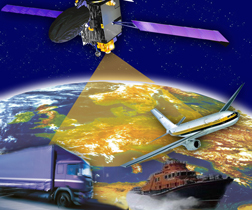 GNSS now spans every area of our socioeconomic life, and a European GNSS is just as much a strategic interest for the region’s transport sector, space policy, health and emergency services, internal and external security, finance, and so on as GPS is for the United States, GLONASS for Russia, or BeiDou for China. Building EGNOS and Galileo is going to give the European GNSS industry a leg up on the competition, so the story goes. The idea is that European developers will be there to come up with new and profitable applications aimed at exploiting the new capabilities made possible by Galileo and EGNOS. Indeed, much of the discussion around SBAS in recent months has been all about convergence, “multi-constellationism”, cooperation and partnership, interoperability. We begin to see just how much Galileo and EGNOS are really only parts of an emerging global and fully interoperable system of systems that will be there for everyone to exploit, not just the Europeans. Why will European entrepreneurs suddenly be more able to imagine new products and services and develop new income streams than they have in the past? Because Europe has put up a new global infrastructure that the whole world can use? We know that Galileo per se is never directly going to make the billions it will take to pay back its investors — the European taxpayers. The success or failure in business terms — as the EU likes it — relies on whether or not EGNOS and Galileo can be the magic pill to stir European entrepreneurship and get the EU out of its long-standing economic doldrums. We’d all like to see it happen, but we may have to see it before we believe it. As a footnote, we also recognize the potential of European GNSS on the political football field. Some people “in the know” but “off the record” point out that EGNOS coverage of Ukraine may already be in the works, a budget line already written. Russia’s own SBAS, called System of Differential Correction and Monitoring or SDCM for short, is still being built. One would expect Russia’s intention is to provide coverage to Crimea, but not the Ukraine, whatever’s left of it, that is. How they intend to do so, in geographical terms, remains to be explained.